Hello everyone, I’m new to forums and pretty much new to riding other than a ninja 250 I learned on. 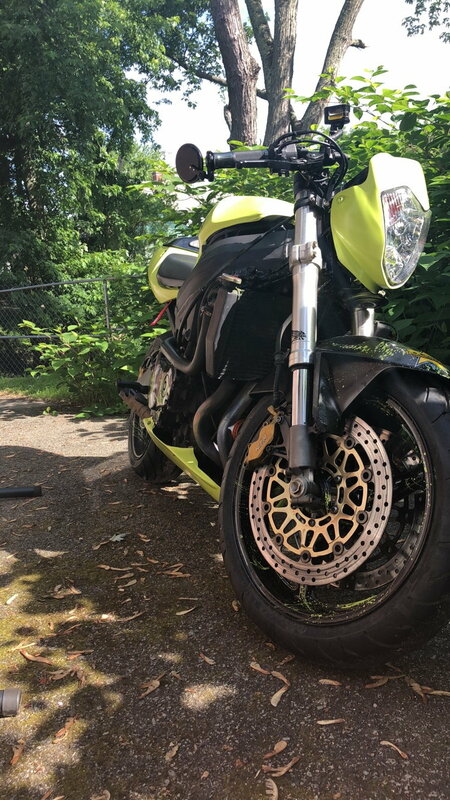 So now I just bought a 2001 Cbr929. I didn’t really know what all to look for when buying but for $2650 I didn’t want to pass up the deal. She has 25k miles, the guy I bought it from got it, “fixed” it and sold it to me. (Thought it had a misfire and he replaced a spark plug.) So, he custom painted it, made it a street fighter due to the side fairing being broken and I’ve only noticed minor issues here and there. So my big question is what should I have checked, I can work on cars but a motorcycle is something I’ve never really messed with and I don’t want to take it to a garage with no idea what to have checked. Also, how do you guys feel about the street fighter vs full fairings. I know for me it seems difficult to ride on the highways At 70mph without my head being blown around so that makes me want to go back to full fairings, just to have a windscreen. But it is “custom” and looks pretty nice how it is. So just tell me your opinion. You should have checked everything. Since you already bought, the point is moot. I would go through every thing with a fine toothed comb and make sure it's sound to ride. I prefer full fairing bikes. However, it's your bike and it's up to you. I have to say though, the guy did a pretty clean job on it. Usually street fighters are hack jobs. Welcome to the forum Joe! I like a bike with protection. I put a batwing faring on my Stratoliner. It was a step up from the factory windshield. If I ride that bike naked, I have a saying, "the beating starts at 55".